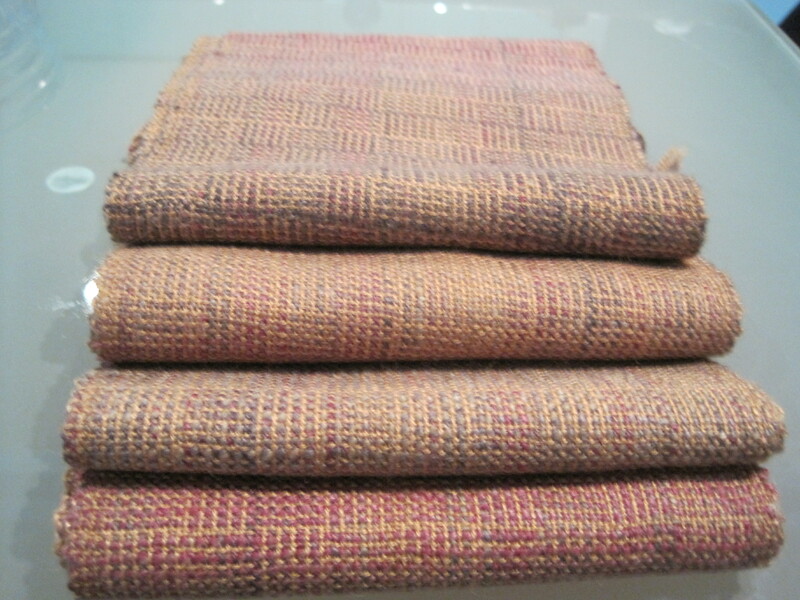 Here are my latest weaving efforts. I started with 100 gms of a wonderful soft braid of fibre from Sweet Georgia. 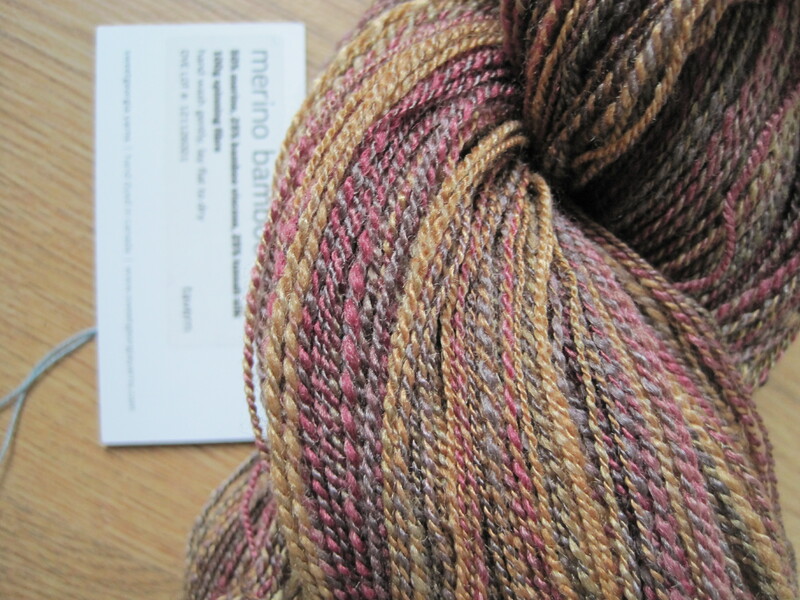 The blend was 50% merino, 25% bamboo viscose, and 25% tussah silk in a colour called tavern. The colours were a blend of dark plum, golden yellow, sage green, purple charcoal and spun into reasonable long lengths of mixed colours. 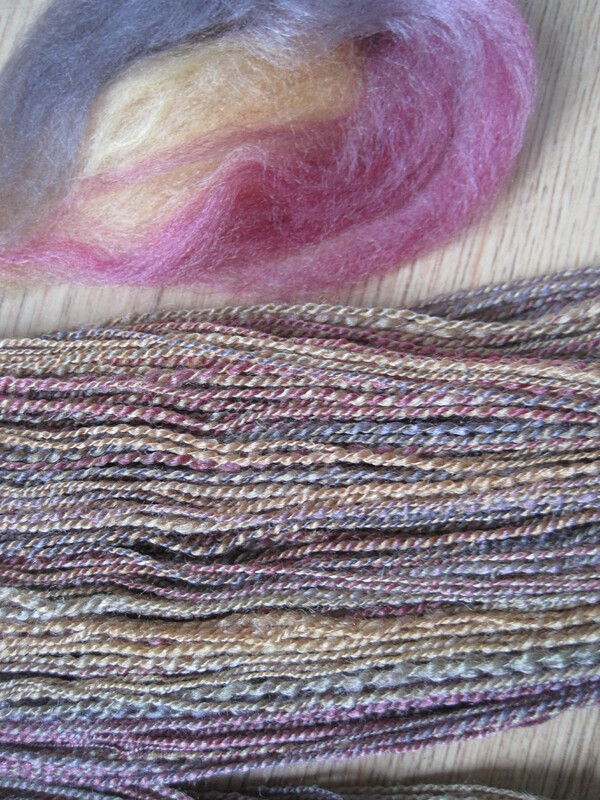 I spun two bobbins of singles and then plyed them together letting the colours fall where they may in random loveliness. This yummy yarn was soft to the touch and glowed with the silk and bamboo content. 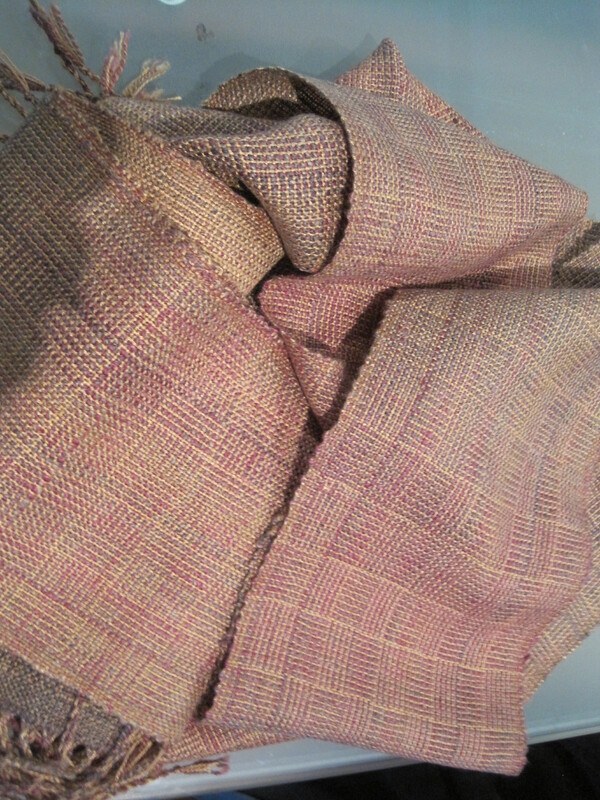 I used the handspun along with a pale yellow tencel to create a log cabin warp and used the same yarns in the weft. The resulting scarves highlight the handspun yarn, and gently move in colour through the handspun to highlight the reds, then the golden yellows, and through to the browns. This entry was posted in Uncategorized and tagged Bamboo, scarves, Spinning, tussah silk, Weaving, yarn. Bookmark the permalink. Those scarves look so luscious. Lovely work!